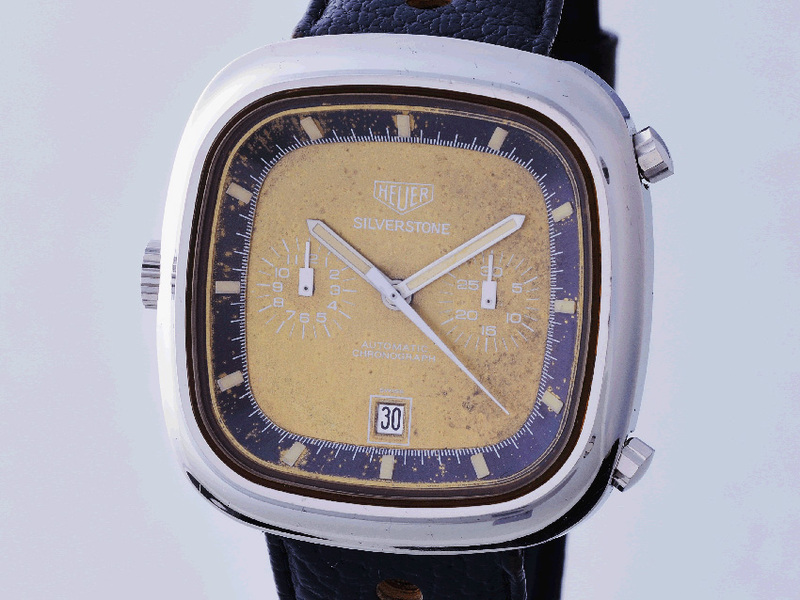 This Heuer model was named after a small village west of London, on the grounds of a former airport car races have been held since 1948. It is also the location of the first victory in 1951 for Ferrari´s Scuderia. Silverstone is a high speed race track with exciting races until today. 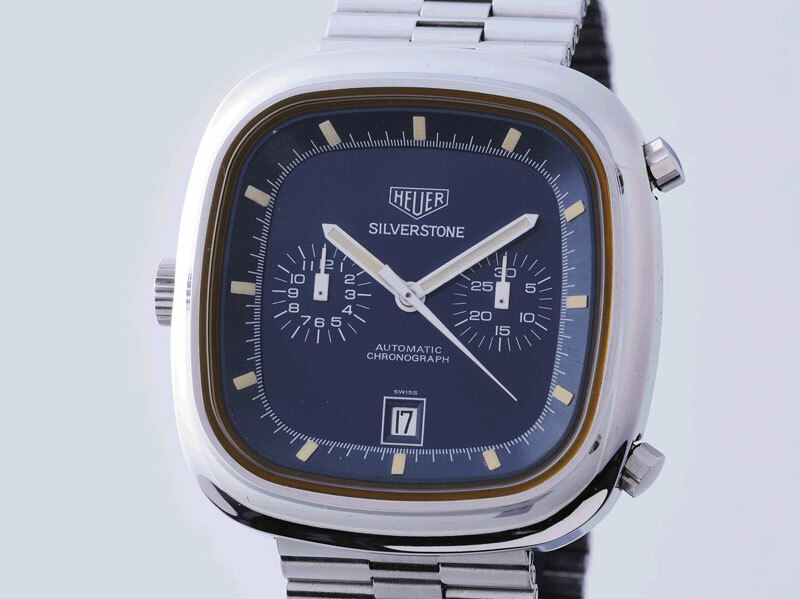 The Heuer Silverstone was produced at the beginning of the 1970ties in a small quantity of approximate 3.500 pieces. The design was completely new and very creative. The spirit of the time is clearly visible in this squared masterpiece. 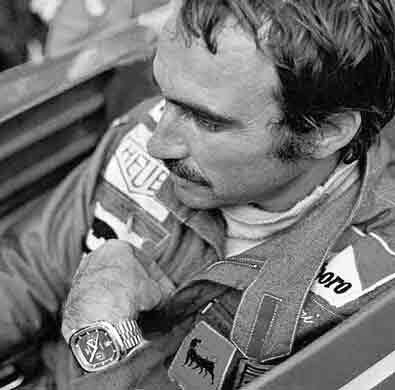 The former F1 race driver Clay Regazzoni was often seen wearing the Heuer Silverstone with blue dial during the mid of 1970ties. 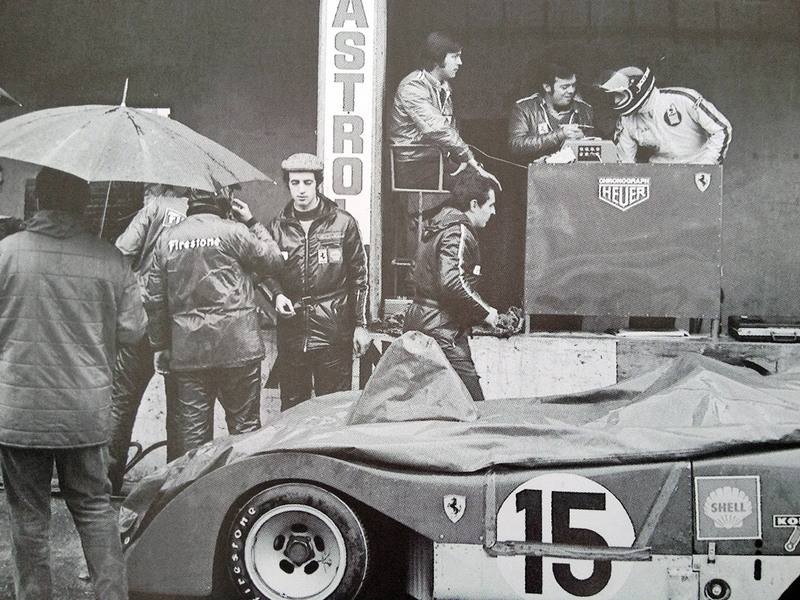 A fantastic photograph of Clay Regazzoni appeared in the Heuer catalogue of 1974 and shows him sitting in the cockpit of his Ferrari. 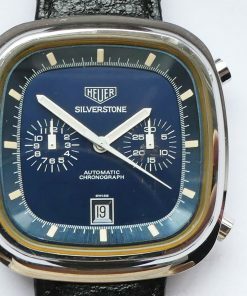 It shows him wearing the blue Heuer Silverstone. Apart from the blue dial there were variations in Bordeaux red and fumé. 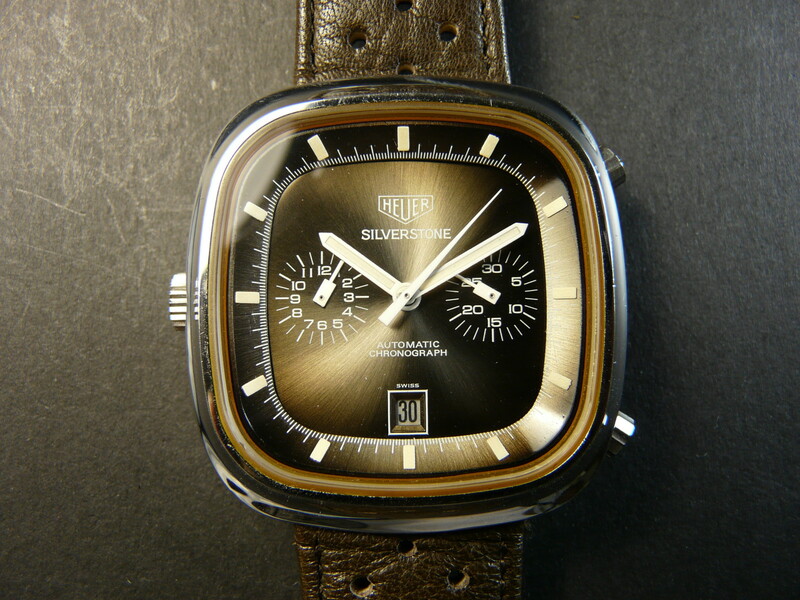 The Heuer Silverstone was produced from 1973 until 1983. First with the new case design - a squared masterpiece with highly polished rounded edges. 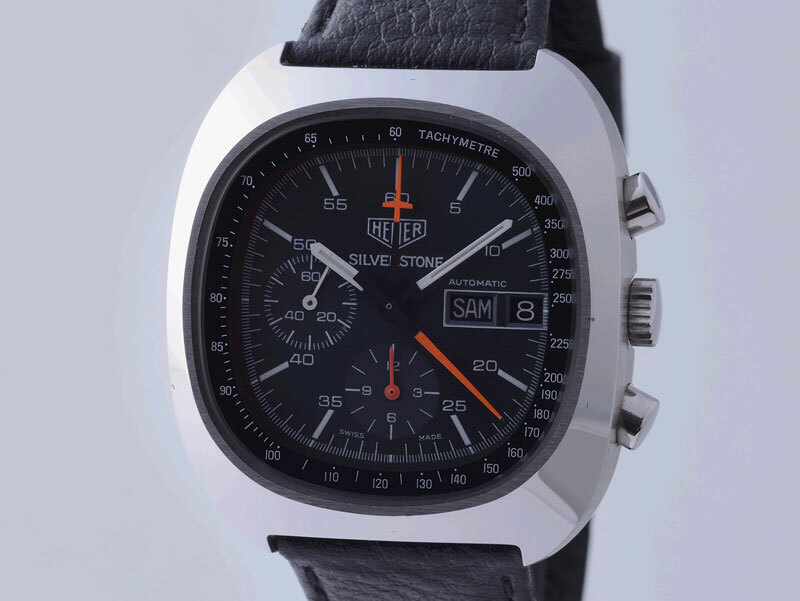 At the beginning of the 1980ties the design of the watch was created completely new and instead of movement Heuer calibre 12 the automatic movement Lemania 5100 was used. This version was only available with a black dial. 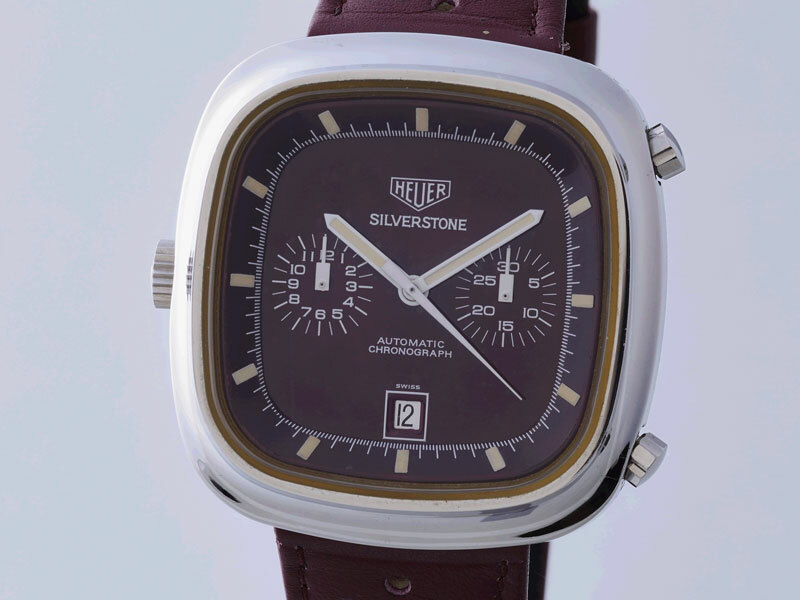 A limited edition of the famous Heuer Silverstone was relaunched by TAG Heuer for the 150ties anniversary of Heuer.